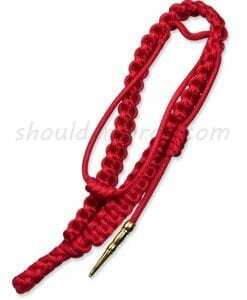 *Please note all of our cords are made after orders are placed and take 2 – 4 weeks to ship. 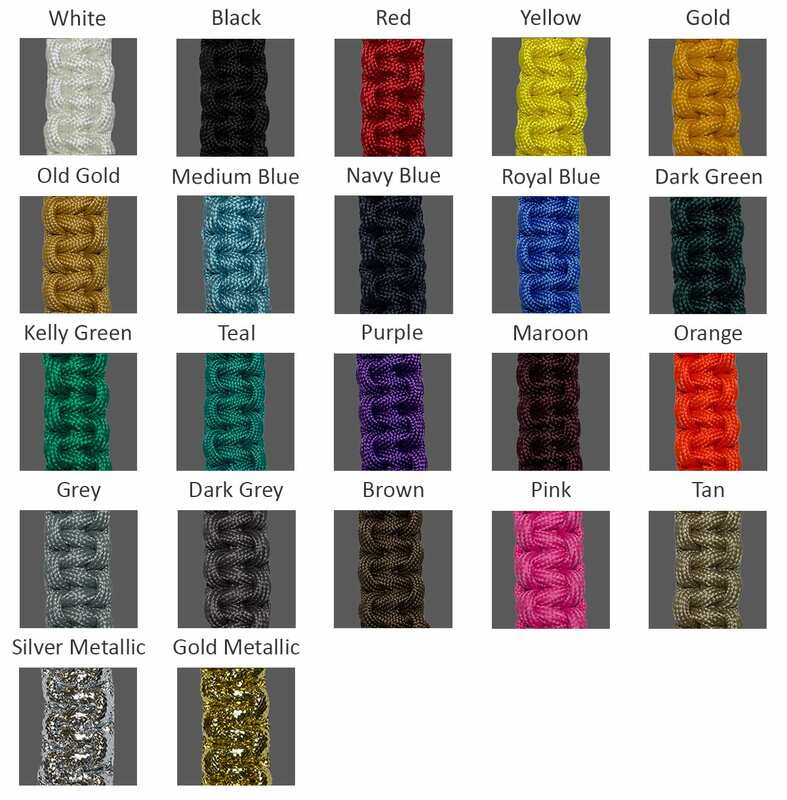 If you must have your order by a certain date please contact us before ordering. 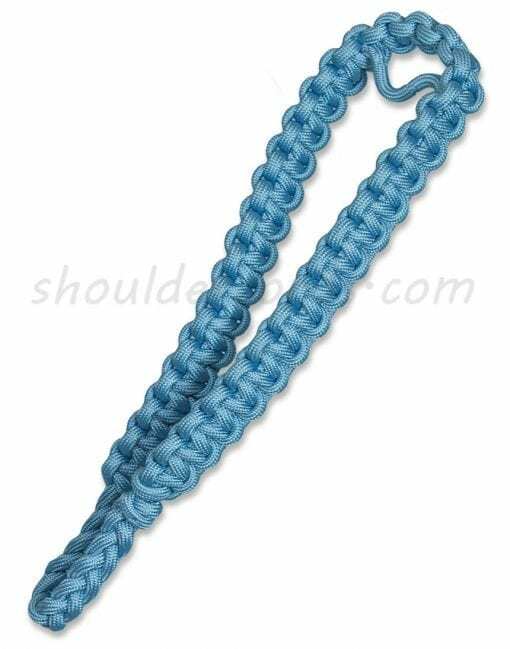 Braid extends over the shoulder. 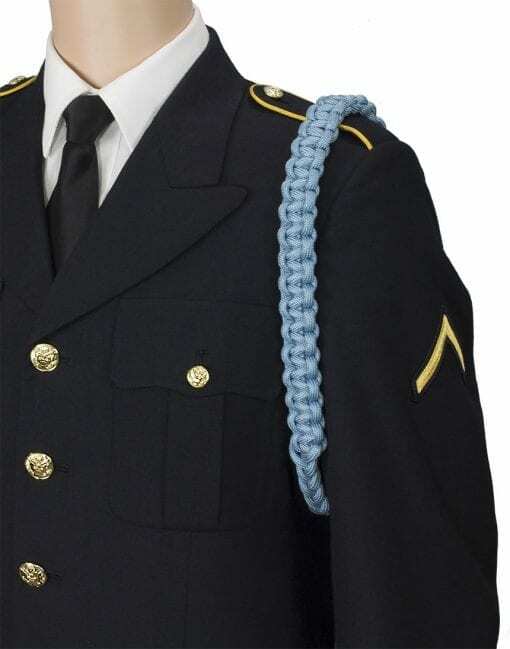 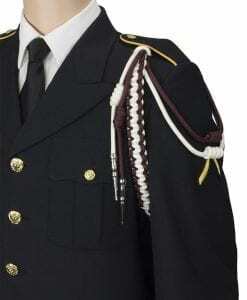 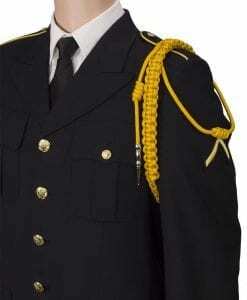 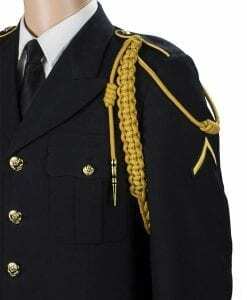 Standard uniform attachment is a wide loop for going under an epaulette. 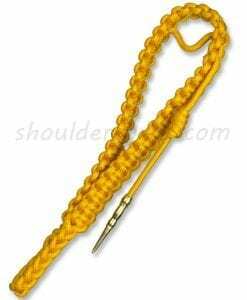 Pin, button loop, and hook n’ loop attachments also available. 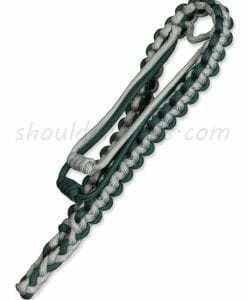 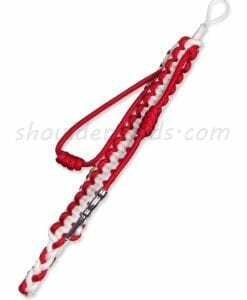 One color box braid aiguillette with two knotted strands and two tip drops. 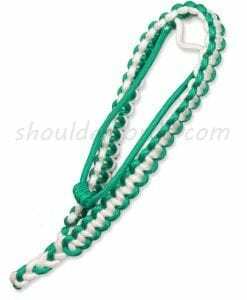 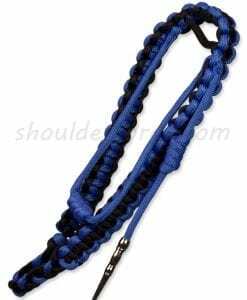 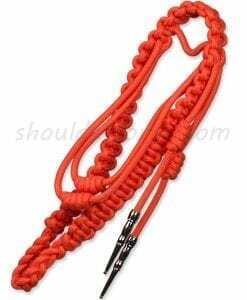 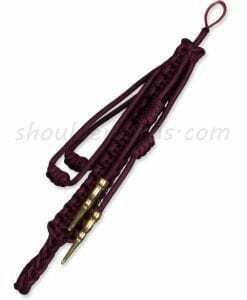 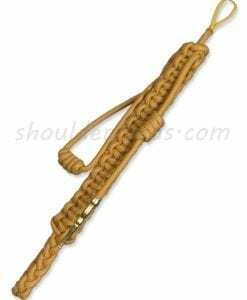 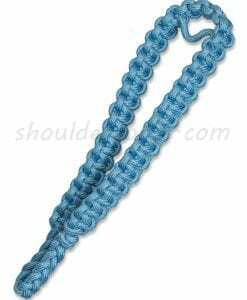 One color box braid aiguillette with a knotted strand and tip drop.